Are you tired of regular old milk? Have you been looking for a healthy replacement? Well, chances are if you’ve been looking for a replacement for milk you have found almond milk. It started out great, people were buying into the fact that almond milk was healthy and contained enough protein to power you through their day. After significant research we have since found out that a carton of almond milk contains very few almonds. In fact a carton contains 2% almonds, so what have they done with the remaining 98%? The Almond Board of California has been quoted saying that the ingredient combinations for almond milk was relatively the same across the board. So, American’s have essentially been spending their money on almond milk that barely contains real almonds. They say each carton contains a handful of almonds. This means that when you want to enjoy a glass of almond milk, for beneficial purposes, you are not getting the proper protein you set out to get. A study has shown that in order to get the proper protein from almond milk you would have to drink the whole carton. This is a pretty unfair portion to consume just to get the natural benefits of almond milk. What ever happened to the days when we weren’t constantly lied to about products like this? Almond growers and processors were reluctant to leave a comment with the media regarding this issue. All they would say is that the recipe is fairly standardized across the board. This just goes to show that all that’s important is the money you have in your pocket. They don’t care if it improves your health. A normal serving of almonds contains 160 calories. A cup of almond milk contains about 30 calories. A serving of almonds has 14 grams of fat 6 grams of protein. A serving of almond milk contains 2.5 grams of fat and one gram of protein. So this just goes to show you that you are better off just eating a handful of almonds. You are actually better off making your own almond milk, and there are plenty of online recipes to work with. Online recipes say that you should use a cup of almonds per gallon. Now this seems more legit than the 2% in your store bought, watered down, almond milk. 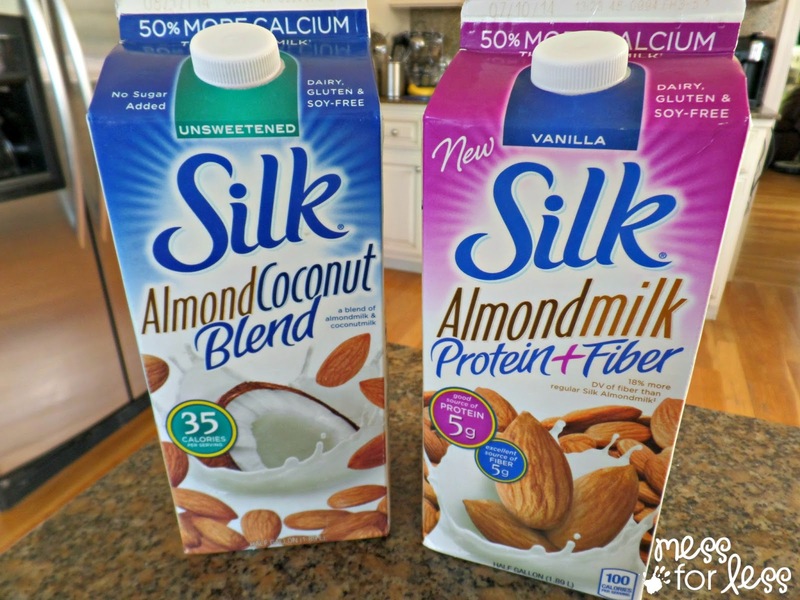 Now that the truth has been brought to the table, how do you feel about buying almond milk? Still feel like you’ve beaten the system and avoided the negative connotations regular milk has been given? The truth is that almond milk is just as big of a rip off as pretty much everything else you buy from your local grocery store. Your best bet is to make your own almond milk. Although that may not be an option for most people, it’s still better than paying too much for watered down “almond” milk. For those who feel strongly about the deep dark lie we’ve been fed, perhaps avoiding almond milk altogether will make you feel better. Take this information and use it, as you will. All I ask is that you understand the lies you’ve been told. However, there are worse things in the world, but this was still something that must be recognized by the American public. The same public that supports the brands who seemingly don’t care about them. To learn more about the contents of almond milk visit Business Insider.